VenkateshwaraNamavali which is recited on Saturday after the Balaji Abhishekam. 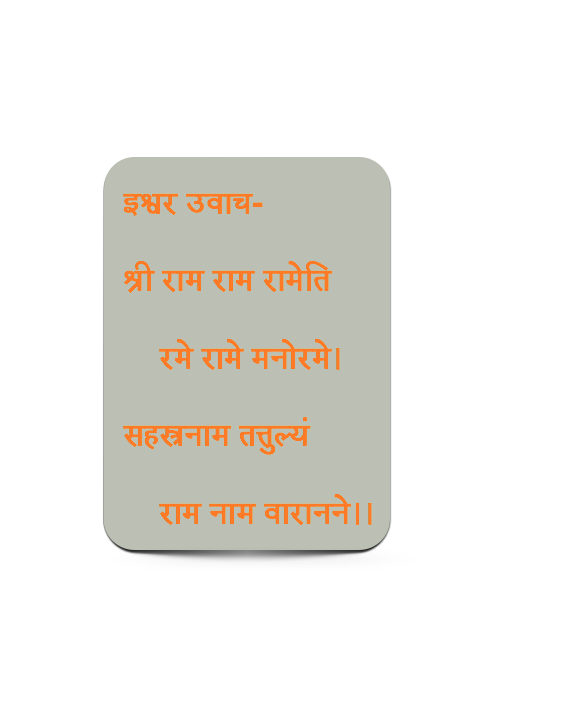 A rare find, a set of slokas extolling the devotion of Lord Sri Aanjaneya. You and your family are cordially invited to this two day event. Preeti bhoj will be served on Feb 15th and 16th evening. 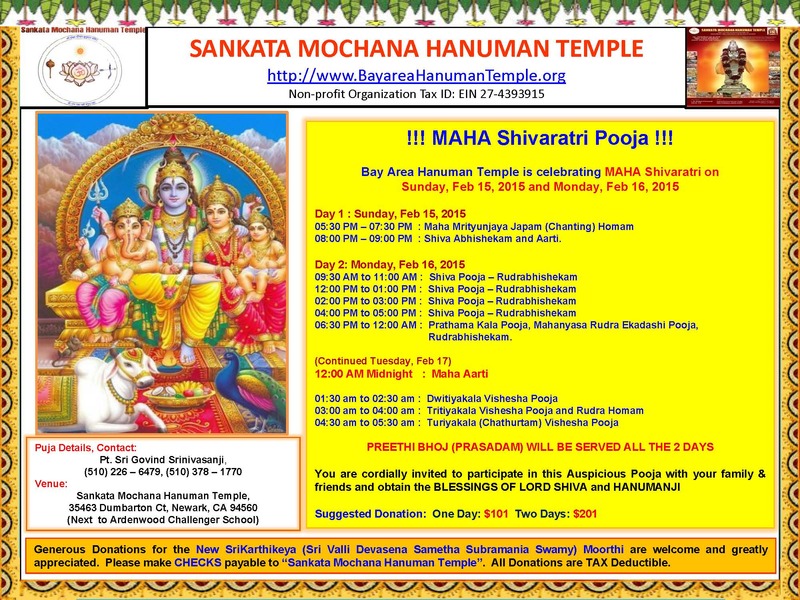 One or two day pooja sponsorship details are here. 05:30 PM – 07:30 PM Maha Mrityunjaya japam (chanting) homam. 08:00 PM – 09:00 PM Shiva abhishekam followed by aarti. 09:30 AM – 11:00 AM Shiva pooja – Rudrabhishekam. 12:00 PM – 01:00 PM Shiva pooja – Rudrabhishekam. 02:00 PM – 03:00 PM Shiva pooja – Rudrabhishekam. 04:00 PM – 05:00 PM Shiva pooja – Rudrabhishekam. 06:30 PM – 12:00 AM Shiva pooja – Prathama Kala pooja, Mahanyasa Rudra ekadashi pooja, Rudrabhishekam. 01:30 AM – 02:30 AM Dwitiyakala visesha pooja. 01:30 AM – 02:30 AM Tritiyakala visesha pooja and Rudra homam. 04:30 AM – 05:30 AM Turiyakala (chathurtham) visesha pooja.